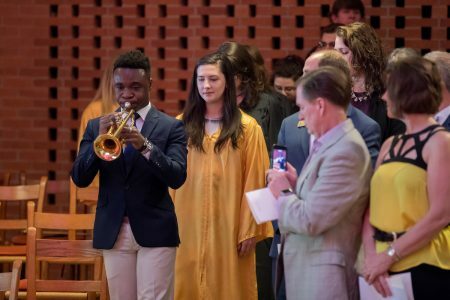 While growing up in Ghana, George Darko-Boateng ’20 and his brothers spent visits with their grandfather playing the piano. Usually, he would tap random keys for fun. But one day, Darko-Boateng recognized a note from a song he had heard in church. Determined to learn the whole song, he kept trying new keys and combinations until finally he was able to play it. Today, Darko-Boateng plays not only the piano, but more than 10 other musical instruments. Although he learned many instruments in school, Darko-Boateng said his lifelong involvement in church is what really allowed him to explore his passion. He played piano in the boy’s brigade at his church in Ghana, where he received the inaugural “Best Boy” and “Most Promising Band Boy” awards for his musical abilities and potential. When he reached high school, Darko-Boateng was the only first-year student selected for the regimental band. In addition to that honor, he was later named an academic head boy, which made him one of the highest-ranking student leaders in the school. With that title came respect from other students—and a confidence boost. 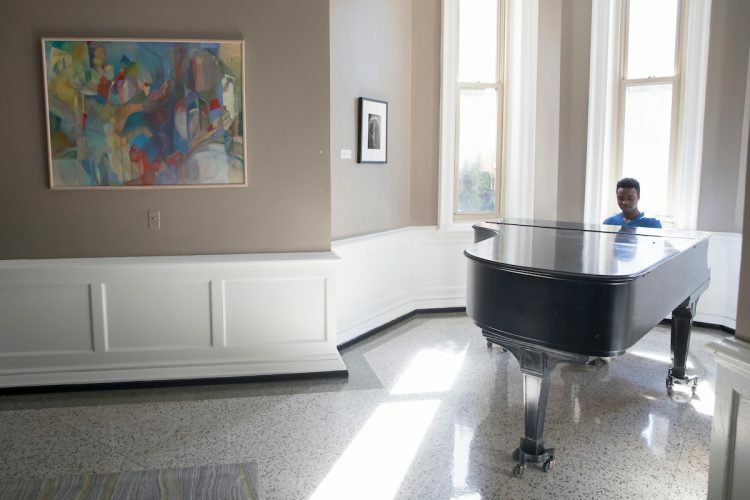 At Randolph, Darko-Boateng can usually be found playing the piano in Main Hall lobby or performing other instruments at the PanWorld Coffeehouse or other campus events. He’s also had the opportunity to perform at churches in New York City, Kenya, and even locally at Chaplin Church in Rustburg, Virginia. Despite his talent and passion for music, Darko-Boateng has another love: math. A double major in economics and mathematics, he thrives on the being able to pursue both his creative side and his logical side. 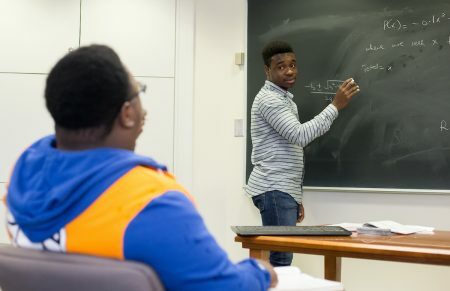 For Darko-Boateng, studying math and music practice sometimes go hand-in-hand. Darko-Boateng sees himself as a business owner one day, but he knows that music will always be part of his life. He also credits his parents, brothers, band directors, church leaders, and other friends for their support and inspiration.